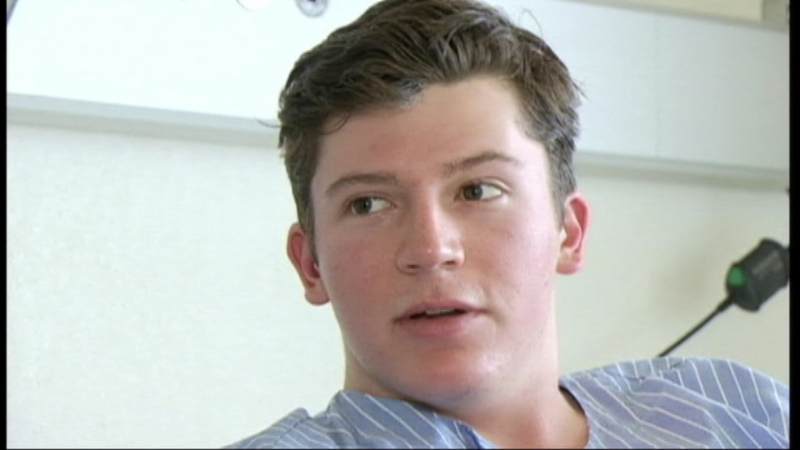 Mark Doose, of Hinsdale, survived being stranded two days in the Swiss Alps. A Hinsdale student survived getting lost during a snow storm in the Swiss Alps while studying in Switzerland. Mark Doose, 19, said he was on a slope that became too steep and ended up falling 36 feet into a ravine. He was lost for two days. Doose says he kept moving in the sub-zero weather, trying to find a way out, before rescuers spotted him. "When they first answered me, it was incredible," Doose said. He spent one night in a small igloo he built for shelter from the very cold conditions. He's now recovering in a Swiss hospital.